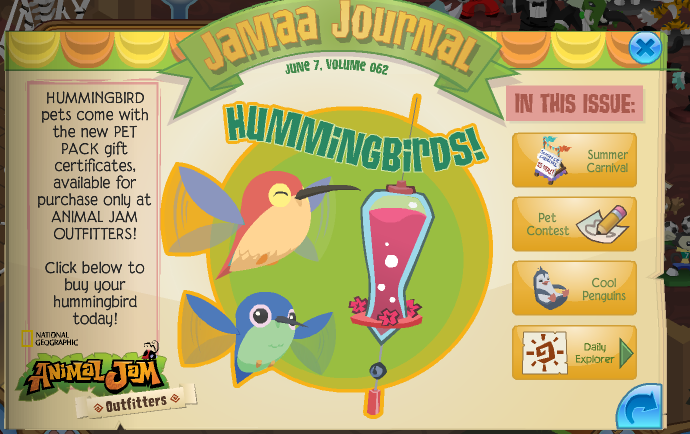 Also, they added the 'Animal Jam Outfitters' logo and a link to buy the hummingbirds on the Humming Bird picture. Here is a strange glitch, if you notice that it says I have wood floor flooring out, yet it's the coral canyons. 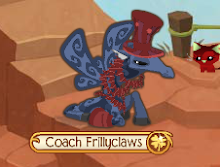 They added new butterfly buttons to go to the pet finder. 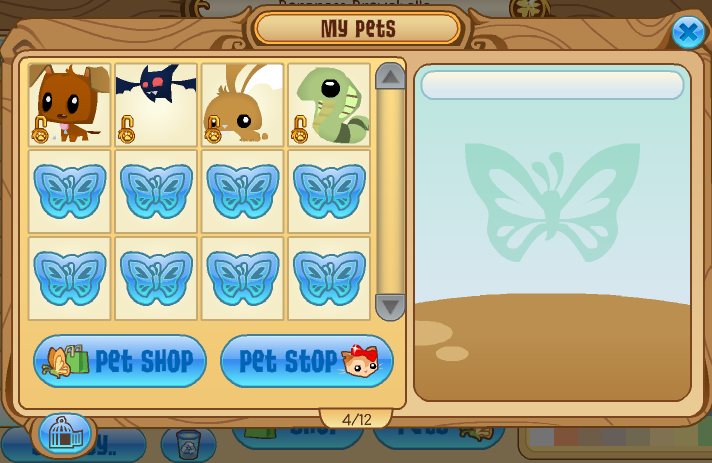 If you click on them, you link to the pet finder. I updated the Epic Den of the Week page, too. There is also an 'I see' poll below on the right hand sidebar, I have been hearing complaints of seeing falling pictures of Frogs inside Ice cubes, (I don't know why) so I'm checking how the html is appearing to everyone. 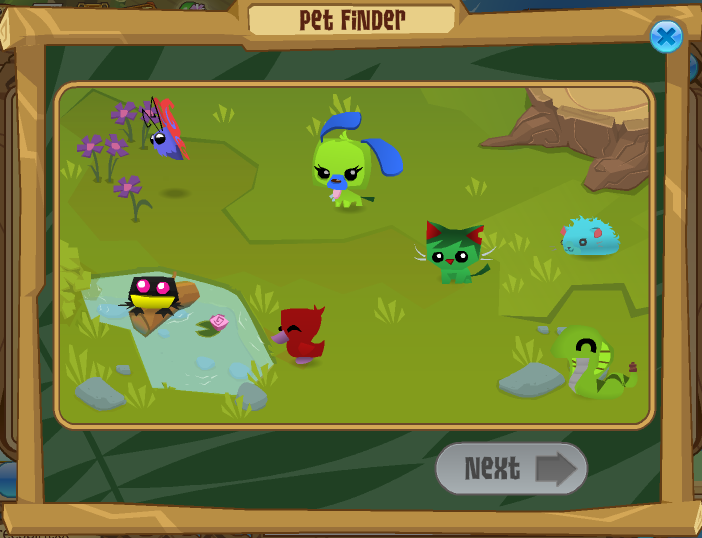 xxfreespiritxx i would like to add you im a super big fan my user is deniz60427 iv'e been sending buddy requests to you and neaver become your buddy please add me your friend deniz60427 or on animal jam denizen bye! Hi I am giving away a free animal jam account because I do not play on it anymore! It is a real account so if you want it you can have it!